Arsenal are one of England’s most successful football clubs and our most popular team when it comes to purchasing Arsenal FC tickets from Football Ticket Pad. Arsenal are famed for their luxurious, free flowing brand of football which is fascinating to watch, making ‘The Gunners’ a firm favourite with football purists who are often looking to buy Arsenal tickets. Renowned for having teams that centre on creativity, flair and lightning quick players; they are often a joy to watch and on their day quite simply unplayable. The Gunners boast an impressive history which includes: 13 League titles, 2 League Cups and 12 FA Cups - the most of any English club. We stock a wide range of tickets for all Arsenal football matches being played at the Emirates this season. We also sell hospitality packages and executive tickets as well as standard matchday tickets. Be sure to check out our full range of Arsenal football tickets and bag yourself a seat at one of the Premier League's newest and most impressive grounds for all domestic and European ties this season. 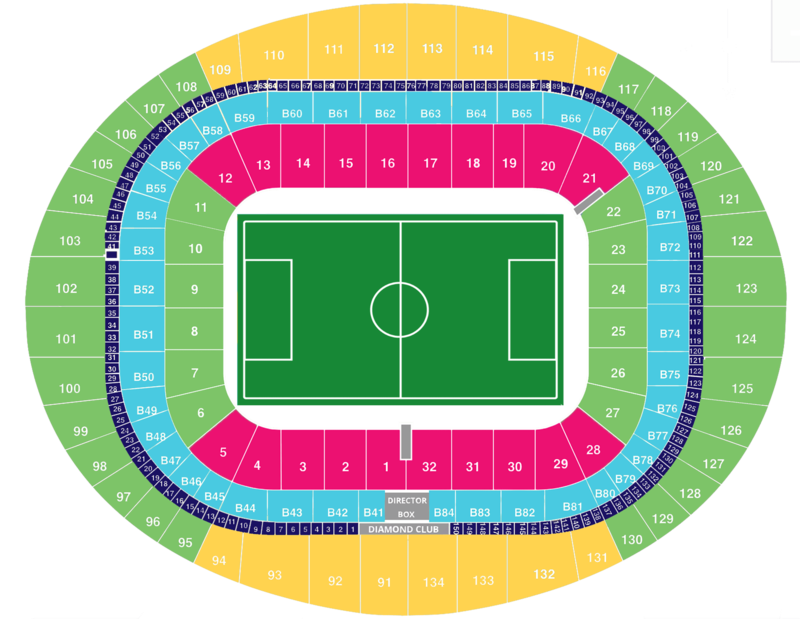 Designated Arsenal away tickets are also available on our website, putting Arsenal fans in thick of the action in stadiums around the country. North London derby tickets are available but in high demand so don’t miss out on the Gunners facing their fierce rivals Tottenham Hotspur this season as the two rivals go head-to-head. Arsenal tickets in European matches mean you can experience the distinctive atmosphere of a European night at the Emirates as The Gunners hunt illusive European glory taking on some of the biggest teams on the continent. Arsenal tickets are always in high demand and under Unai Emery they are hoping to seal a return to the top four in the Premier League with top players like Mesut Ozil, Alexandre Lacazette and Pierre Emerick Aubameyang in their squad. Get Arsenal tickets and be the first to see the start of a new era at Arsenal. With Arsene Wenger no longer at the helm the Arsenal faithful have renewed hope that the glory days are just around the corner. The expectations and excitement is running high and getting Arsenal tickets will be on everyone’s mind as the season draws nearer. Additionally to the standard Premier league campaign, this season Arsenal participate in the a further 3 competitions, Football Ticket Pad has Arsenal tickets for all of these games so you won’t have to miss a minute! The Emirates Stadium is the third largest stadium in England behind Wembley and Old Trafford. 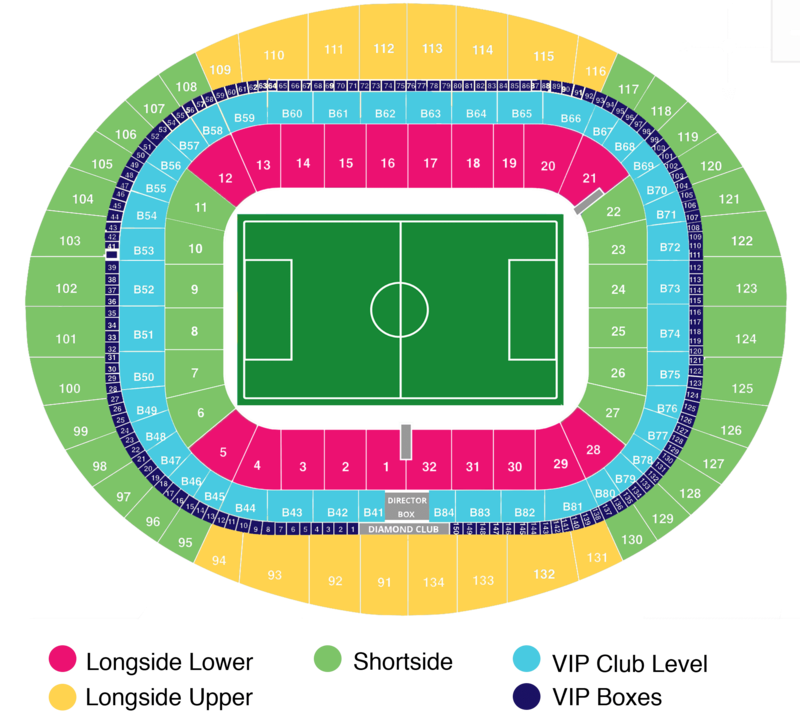 It is viewed as the benchmark for modern football stadia with it’s bowl design, meaning ‘bad seats’ are difficult to come by when purchasing your Arsenal tickets. The four stands have inherited the same names as those from their previous stadium, Highbury: North Bank, East Stand, Clock End and West Stand. Customers can choose the stand of their choice when buying Arsenal football tickets and a trip to The Emirates is certainly one not to miss! Its four-tiered structure consists of a large and shallow lower tier which is set back from the playing surface. A small second tier known as the ‘Club Tier’ has only eight rows and houses numerous hospitality lounges. The third tier is even smaller and consists entirely of 150 Executive Boxes around the stadium. The fourth tier is the upper tier and offers stunning views across The Emirates which are completely unrestricted. The stadium is just as impressive on the outside. On matchday why not pay a visit to the statues dedicated to managers Herbert Chapman or Arsene Wenger. Or maybe take a look at the Tony Adams, Dennis Bergkamp and Thierry Henry sculptures. The famous Arsenal cannons can also be seen in the South West corner of the stadium outside the club shop. Perhaps if you are sat at The Clock End why not take a trip down memory lane and visit ‘The Spirit of Highbury’ shrine which lists every player to have played for Arsenal during it 93-year residence. Clock End / South Stand: The iconic Highbury clock took pride of place on the South Stand when the new stadium opened, however, it has since been replaced by a larger replica. Here fans are sat adjacent to the away support who are housed in the lower tier of the South East corner. Ticket holders are sat behind the goal and Football Ticket Pad has a range of tickets in this section of the stadium. The lower tiers offer more of an atmosphere, therefore short side lower tickets may be the option for you want to be amongst the more ardent Gunners support. West Stand: This is regarded as Arsenal’s ‘Main Stand’ and is located on the same side as the players tunnel and technical area. This is where a number of our private boxes and Arsenal VIP tickets are housed. Longside Upper and Longside Lower tickets are also available and both ticket options offer exceptional views. On arrival to their turnstile, fans can also catch a glimpse of the Dennis Bergkamp statue outside of the stand. North Bank: On matchday, Arsenal fans can often be heard singing ‘We’re the North Bank’ and this is one of the most popular places to sit inside the Emirates Stadium. This stand is situated behind the goal at the opposite end to the away supporters. Here they also have a singing section in blocks 5 and 6 and customers can secure their seats in this part of the stadium for every Arsenal match this season. North Bank Lower tier is where many fans would say the best atmosphere is. The North Stand was renamed The North Bank after the famous stand at Highbury. It is one of the most popular places to sit at the ground and customers can purchase their Shortside Lower tickets if they would like to sit by part of ‘The North Bank.’ faithful. East Stand: The East Stand offers stunning views of the action especially from the Club Level seats which provide a panoramic unrestricted view of the action and the rest of the iconic stadium. Upper and Lower tier seats are provided by Football Ticket Pad giving customers the choice of their preferred seating. Seats here also provide customers with a clear view of the players emerging from the tunnel as they are sat directly opposite the West Stand. Season / Members Card: These are reserved seats which are available for every single home match at The Emirates Stadium. Football Ticket Pad customers will receive these their Season/Members Card before the game away from the stadium before returning them after the game in a pre-paid envelope. E-tickets: Arsenal tickets are available in the form of e-tickets in some instances, this occurs when a season ticket holder cant attend a match and can transfer them in the form of an e-ticket. This is not possible for all tickets for arsenal so please take care to look in the listings which are etickets are which are not. E-tickets are sent out as an email once payment confirmation is confirmed and customers can then scan the email barcode on entry to the stadium. Paper tickets: This is the more traditional way of receiving your Arsenal tickets. Once your payment has been confirmed on Football Ticket Pad your tickets are then sent out by post to the address provided in your payment. Customers often receive their AFC tickets 3-4 days prior to the match and they will be sent an email confirmation once their payment has been confirmed and when their tickets have been dispatched. Arsenal ticket holders can then gain entry with their paper ticket at the turnstile at The Emirates Stadium. Arsenal tickets have always been a top seller on Football Ticket Pad and they remain one of the biggest clubs in the country despite a underwhelming campaign in 2017/18. The Gunners finished outside of the top four for a second successive season and ended the campaign in sixth. Arsenal's dismal season culminated in Arsene Wenger's emotional departure after 22 years in charge Arsenal started the campaign in disarray, losing 4-0 to Liverpool at Anfield in only their third game, and their form deteriorated further in the second half of the season. By the end, it was Arsenal's lowest finish and their lowest points total of the Wenger era. The 3-0 Carabao Cup final defeat to Manchester City was a bitter disappointment which underlined the gulf between Wenger's side and the elite as they continued to fall further behind their rivals. Their star players ultimately underperfomed and they will be hoping they can turn their fortunes around next season under Unai Emery to get them back to winning ways and a force to be reckoned with both in the Premier League and in Europe.